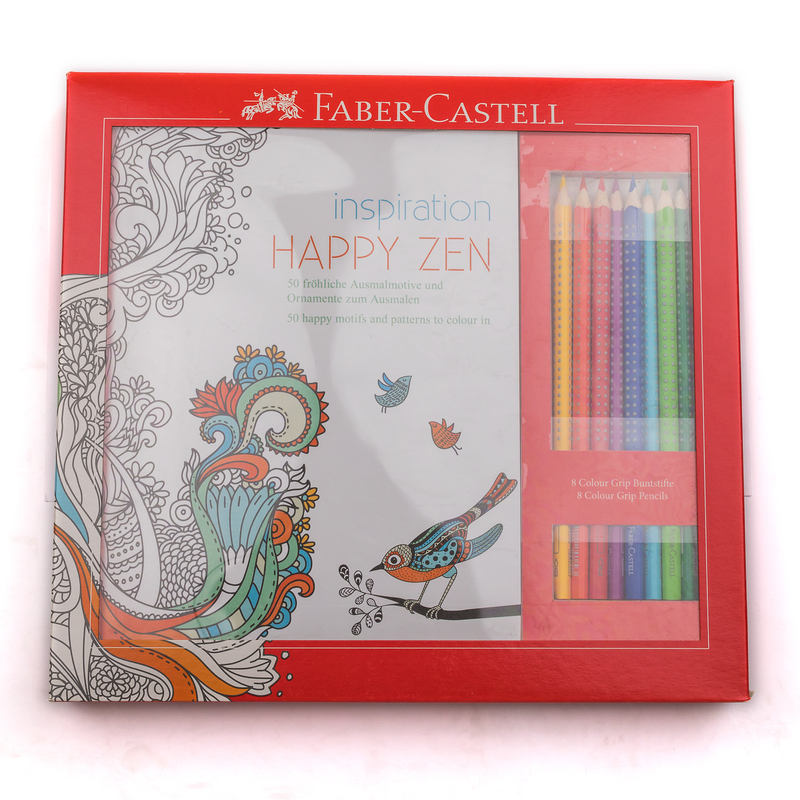 Faber-Castell Inspiration Happy Zen Set. 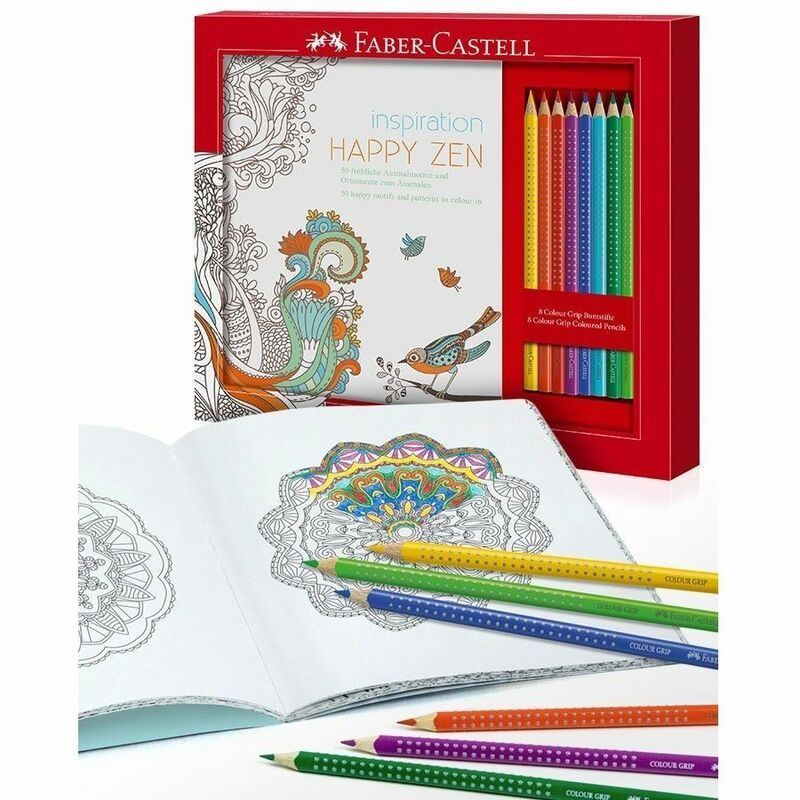 The Inspiration Happy Zen colouring gift set contains a colouring book illustrated with 50 motifs and patterns, and 8 Colour Grip Pencils. A5 colouring book with meditative and inspiring motifs and figures just waiting to be coloured in! Colour Grip Pencils with ergonomic triangular shape and patented Grip-Zone for a firm grip. Colour bold designs by pressing more heavily, or shade lightly for varying degrees of colour strength and depth. Pencils are protected from lead breakage by SV bonding. Surface coating of pencils is made from environmentally-friendly water-based paint. Pencils made from wood supplied from certified, sustainable forestry.